but I won't be able to go back and rejoin work within this period. I will have to avail of unpaid leaves. Pursuant to your queries, we assume that you are employed by a mainland company at Dubai and your employment is governed by the provisions of federal law no. 8 of 1980 regulating employment relations in the UAE (the 'Employment Law'). Know the law: Any employee who fails to resume work immediately after the expiry of his leave shall automatically forfeit his remuneration for the period of his absence, with effect from the day following that on which the leave expires." An employer may, at its discretion, grant emergency leave. 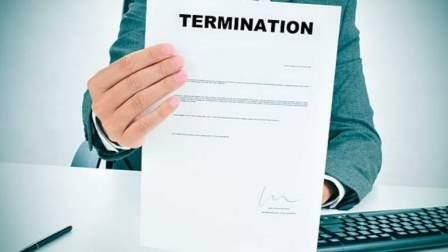 An employer can terminate an employee without notice if he avails unauthorised leave without a valid reason. This is in accordance with article 120(j) of the Employment Law, which states: "An employer may dismiss an employee without notice if the employee absents from his work without a valid reason for more than 20 non-consecutive days or more than seven consecutive days." "Subject to the provisions of this law, any employee who fails to resume work immediately after the expiry of his leave shall automatically forfeit his remuneration for the period of his absence, with effect from the day following that on which the leave expires." It is recommended that you write to your employer, seeking extension of your emergency leave. Along with your request, send copies of documents to prove that the leave application and its extension is due to bonafide reasons.